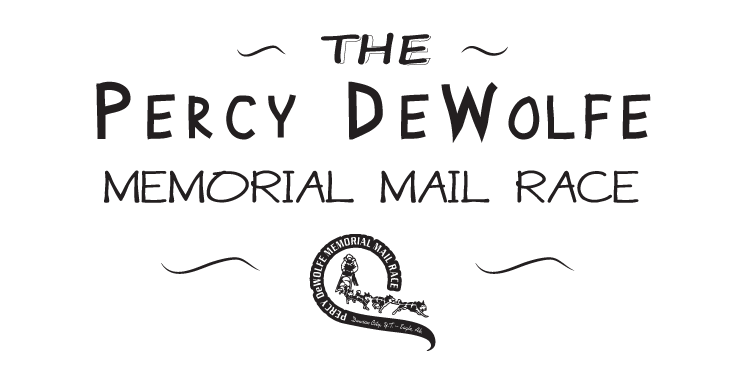 put the letter in the mail box at the Dawson Post Office (you don’t need to affix postage) or return it to the Percy no later than three days before race start. 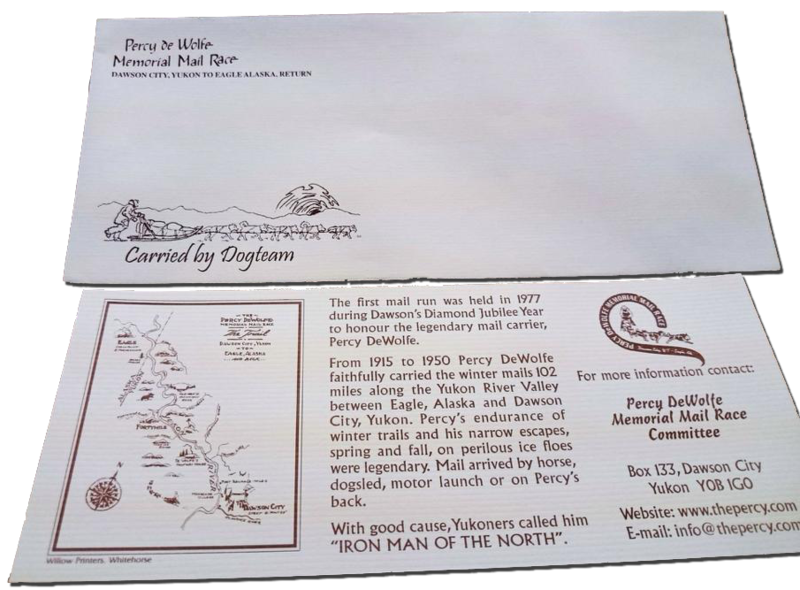 Your letter will be carried by dog sled in the Percy DeWolfe race and mailed from Eagle, Alaska. Your letter will be postmarked in both Canada and the USA!